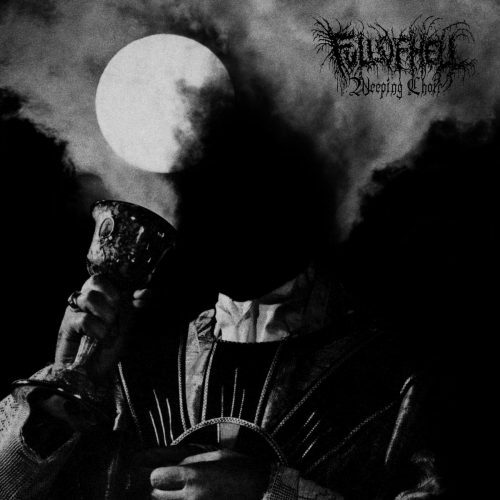 I had to lead off with this new song from Full of Hell because it’s just such a shrieking, roaring horror. One of those things that makes you sit bolt-upright and prevents you from thinking about anything else, which was a blessing, given my scrambled state of mind when I first heard it. The song, “Burning Myrrh”, is the opening track on the band’s new album Weeping Choir. It was released with a video by Cody Stauder., which just makes the experience even scarier. Yes, the music (and the vocals) shriek and roar, but that doesn’t exhaust what happens. It also moans, seethes, boils, batters, and pounds… and gets kind of spooky at the end. Weeping Choir was produced with an apparent objective of producing maximum trauma by Kurt Ballou. It will be released by Relapse on May 17th. The next song also comes with a music video. Having become familiar with the band’s music a long time ago, and having witnessed many of their gob-smacking live performances in Seattle over the years, I was very excited to see it. Those of you who aren’t familiar with Pound will have some big surprises in store — beginning with the surprise of seeing and hearing only two people making such a mind-bending storm of sound, and including the surprise of drummer David Sticknet swiveling back and forth between two differently tuned drumkits set up at right angles, and the spectacle of Ryan Schutte making extravagant use of his monster 9-string baritone guitar. You’ll probably also be surprised by the song and album titles. The name of the album is “..” The video is a medley of two tracks from the album, represented as “xx_.+-x_ _” and “x..^..x-x..^..x-x..^..x-x..^..x-“, which are notations for certain rhythms in the compositions. Attempting to describe everything that happens in these tracks wouldn’t be a smart move. But it would be a smart move to open your eyes and ears and check this out — so be smart! Director Michael Kane and director of photography Ryan Abrahamson did a fine job capturing the spectacle of Ryan and David doing what they do. “..” will be released on May 31st by Silent Pendulum Records. I thought this next song flowed well from that Pound medley, even though it’s a different kind of music. 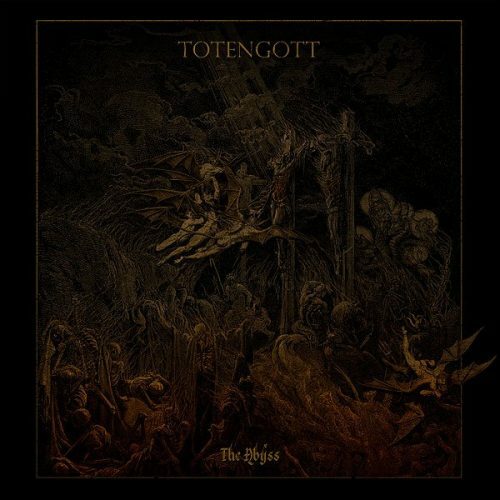 The song is “Ceremony II: The Way of Sin,” and it will appear on the second album by the Spanish trio Totengott, the title of which is The Abyss. The music is a blood-rushing surge, and a full-bore head-mover. A big bass pulse and a hard-cracking snare keep things going, and the fast-moving riffs, which skitter, hammer, bleat, and slither like some giant engorged python, are electrifying. There’s an eerie, exotic solo in the song, as well as livid, scraped-raw vocals. It’s a thoroughly venomous piece of music for sure, but such highly addictive poison. Néstor Ávalos made the dark cover art for The Abyss. It will be released by Xtreem Music on April 16th. You’ll see from the track list that there are only four songs on the album, but two of them are real monsters. Well, I began this little round-up with something terrorizing, so I decided to round it off with something else terrorizing, though it’s a different kind of horror show that The Bogs of Aughiska have produced. This new video here is for a track named “The Devil Is An Irish Man“, which comes from the latest album by these devilish Irishmen from County Clare, Mineral Bearing Veins. At first, the music is dismal and unnerving, weird and woeful. The sounds groan and skitter, simultaneously putting your teeth on edge and dousing any joy you might be feeling. But that’s just to soften you up for the black storm to come, all blasting/battering drums and grinding/squalling guitars, macabre proclamations and skin-splitting shrieks. 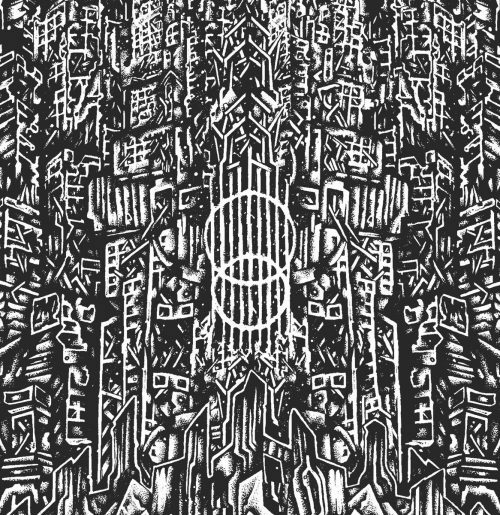 Mineral Bearing Veins was released digitally and on CD last fall by Apocalyptic Witchcraft, but will be released again on March 29th by Czar of Crickets Productions and Apocalyptic Witchcraft. The video was shot, directed, and edited by John Mulvaney — and it really is terrifying. As they say in the trade, “not for the faint of heart”, nor for anyone looking for a peaceful slumber tonight. That Pound video was riveting. Love that guitar.